Hydroxy Propyl Methyl Cellulose (HPMC) helps to significantly improve the water-holding capacity of mortar. Just a low level of hydroxy propyl methyl cellulose addition can lead to a significant improvement on the water retention rate of the mortar. When the addition level is 0.002%, the water retention rate increases from 83% to 88%; while the former is 0.02%, the latter can reach 97%. Meanwhile, low level of hydroxy propyl methyl cellulose addition can also significantly reduce the layering degree and bleeding rate of the mortar. This shows that hydroxy propyl methyl cellulose can not only enhance the water-holding capacity of the mortar, but also significantly improve the cohesiveness of the mortar, which is very advantageous to the uniformity of mortar construction quality. However, hydroxy propyl methyl cellulose has a certain degree of negative impacts on the flexural strength and compressive strength of mortar. With the increase of hydroxy propyl methyl cellulose addition level, the flexural strength and compressive strength of mortar will appear gradually decreasing trends. Meanwhile, hydroxy propyl methyl cellulose can make the tensile strength of mortar improve. When the addition level of hydroxy propyl methyl cellulose is within 0.1%, the tensile strength of mortar will be enhanced with the increase of hydroxy propyl methyl cellulose addition level, but when the level is over 0.1%, the tensile strength will no longer significantly increase. Hydroxy Propyl Methyl Cellulose can also make the compression and shear bond strength of the mortar improve significantly. For example, adding 0.2% hydroxy propyl methyl cellulose can increase the bond strength of the mortar from 0.72MPa to 1.16MPa. Studies have shown that hydroxy propyl methyl cellulose can significantly prolong the cooling and setting time of mortar and significantly reduce the amount of slippage of mortar, which is very advantageous to tiling construction. When the mortar without the addition of HYDROXY PROPYL METHYL CELLULOSE cools and sets for 20 minutes, its bonding strength will drop from 0.72MPa to 0.54MPa; while the addition level of hydroxy propyl methyl cellulose is 0.05% and 0.1%, the bonding strength of mortar after cooling and setting for 20 minutes will be 0.8MPa and 0.84MPa respectively. 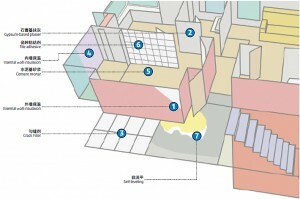 Moreover, the slippage distance of the mortar without the addition of hydroxy propyl methyl cellulose is 5.5mm. With the increase of the hydroxy propyl methyl cellulose addition levels, the slippage distance will continuously reduce, and when the addition amount of hydroxy propyl methyl cellulose is 0.2%, the slippage distance will drop to 2.1mm. The significant reduction in the amount of slippage has provided technical support for thin-layer construction such as tiling. In addition, hydroxy propyl methyl cellulose can effectively inhibit the formation of plastic cracks in the mortar and significantly educe the plastic cracks. When the addition level of hydroxy propyl methyl cellulose is relatively low, the crack index will significantly decrease with the increase of hydroxy propyl methyl cellulose addition levels. When the addition levels of hydroxy propyl methyl cellulose are 0.1% and 0.2%, the relative crack index of mortar will be 63% and 50% respectively. 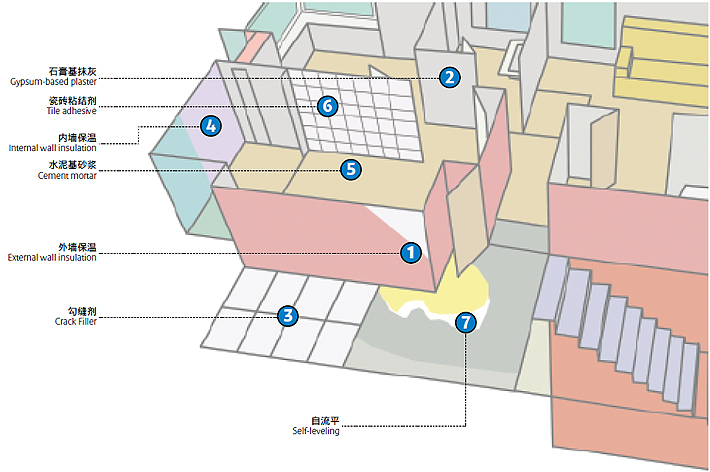 However, when the addition level of hydroxy propyl methyl cellulose is over 0.2%, the plastic cracks in the mortar will no longer significantly decrease.